This is a contemporary 90982 Black Bar Table. Richly decorated bar furniture. 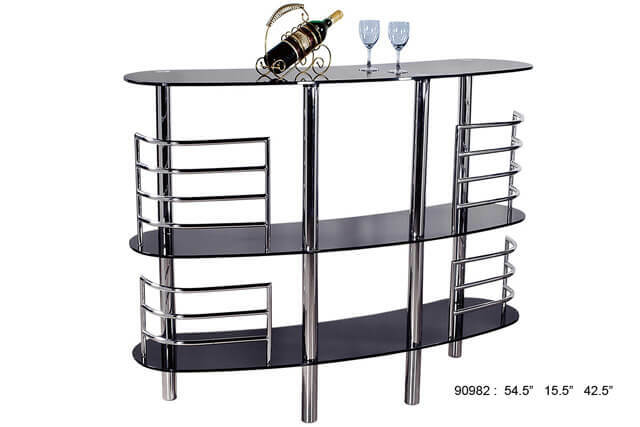 The 90982 Black Bar Table is rich with decor composition of sleek steel work that would create a stunning look in your bar room area. Stately wrought three levels of tinted glass shelves. 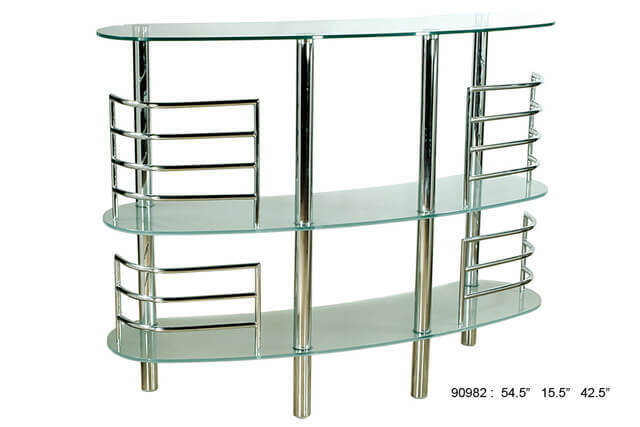 The elegant steel curves, running on every end compliment its smooth design. Graceful curves and classic style encourages the overall effect.The 90982 Black Bar Table is also available with clear glass shelves.